Shoes protect our feet and keep them warm. 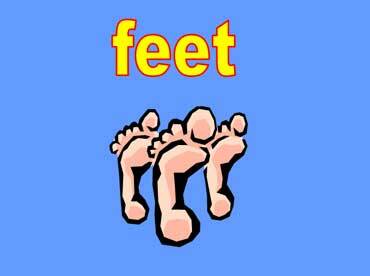 Feet and toes are important because people use them to walk and stand. People wear socks on their feet. 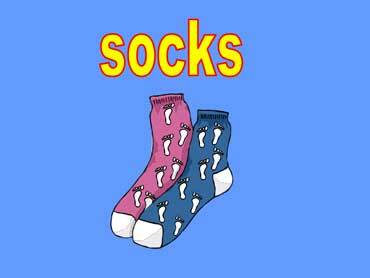 Socks come in pairs. A pair means two. 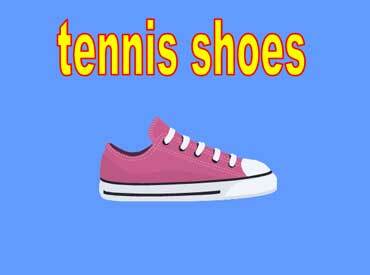 Tennis shoes are worn by children and adults. Tennis shoes have rubber soles and canvas tops. They good shoes for running and playing tennis.